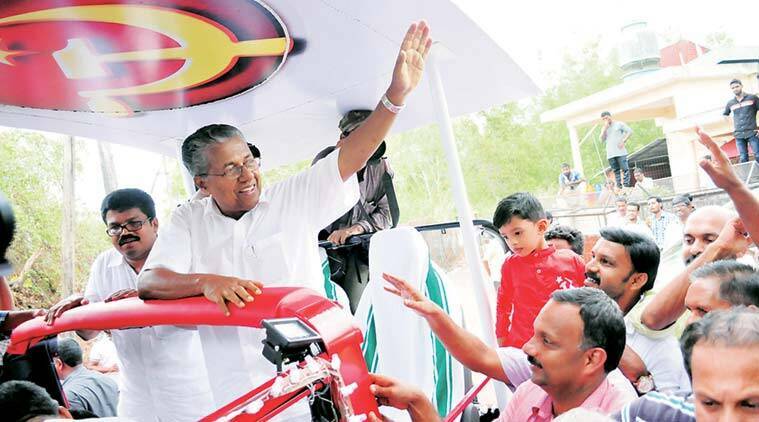 Hailing from a poor toddy tapper's family, Vijayan, a first time Chief Minister, took the oath in Malayalam. Pinarayi Vijayan was administered the oath of office and secrecy by Governor Justice (Retd) P Sathasivam at the Central Stadium here. A 19-member LDF government, led by CM Pinarayi Vijayan, took charge in Kerala after Governor P Sathasivam administered the oath of office and secrecy to the ministers at a grand swearing-in ceremony held at the Central Stadium. The event was attended by former prime minister H D Deva Gowda, CPM general secretary Sitaram Yechury politburo members Prakash Karat, M A Baby, and former Chief Ministers V S Achuthanandan and Oommen Chandy. The venue saw thousands of Left workers turning up from across the state for the swearing-in. He added that the victim’s family will be given a new house within 45 days and her sister will get a government job, as promised earlier. Further, the government has decided to give the victim’s mother, who worked as a household help, a monthly pension of Rs 5,000. Among other decisions, the Cabinet decided to lift the ban on filing vacant posts in government departments. “Vacancies are not reported properly. All departments have to report the vacancies to the Public Service Commission within 10 days after a post falls vacant. The chief secretary should monitor the progress in reporting the vacancies on a daily basis,’’ said the CM. The Cabinet also formed a sub-committee to examine the controversial decisions taken by the previous government from January first onwards. “The committee would first look into whether the decisions were illegal or not,’’ the CM said. Days before the election notification came out, the UDF government had taken several decisions related to land allocations and refilling of wet lands, which were revoked after protests. The CM said the state Cabinet had decided that the “13th five-year plan would be resumed at the state government and local body level”, despite the Centre deciding otherwise. The Cabinet also hiked the monthly welfare pension to Rs 1,000 from Rs 500.